With good usability, everyone wins. As we go through the Outreachy May-August internship, I plan to share updates on my blog. In this week, we're starting to walk through the steps to create a usability test. Feel free to use the comments section here as a kind of discussion forum. In studying usability, we first need to understand who are the users. How you design the program may differ based on who uses it. Are your users mostly developers? Or are they mostly image experts? Or are they "general" users with "average" knowledge? This understanding will help you form a basis for the rest of your usability testing. Designers often start with Personas to define their users. By using personas that everyone agrees to, the designers and developers (and everyone else on the project) can discuss how changes to the product will affect each representative user. This avoids ambiguous discussion like "But what about the user who wants to do X?" or "But this works for me." With personas, the conversation becomes "How does this change benefit ‘Amanda’?" or "What can we do to make things easier for ‘Steve’?" This week, please research and discuss personas. What are personas? Some questions that might help you think about personas: What is a persona? Can you find more information about personas and how they help in usability testing? At what point in a project would you create personas? I've included a few links that might help you in this week's discussion. What others can you find? Sanskriti Dawle was an intern for usability testing during Outreach Program for Women, in 2014. She wrote a good sample persona for GNOME as part of her work, and I wanted to share it here. I think they all discovered there are different definitions on "usability" depending on the source, but generally usability is about real people doing real tasks in a reasonable amount of time. Some researchers also refer to "learnability" and "memorability" to define usability. And as they found, usability is not the same thing as user experience. Usability is about getting something done; user experience is more about the user’s emotional impression. I believe that usability and user experience go hand-in-hand. Programs need to be pleasant (user experience) but people need to be able to use them, too (usability). In a comment on Renata's blog post, I wrote about some edge cases in usability and user experience. Most programs that have good usability will also have good UX, and most programs that have poor UX also have poor usability. But that's not always the case, and I gave two examples: a game and a file manager. I'll post the week 2 research topic very soon. As always, I first send this as an email to Renata, Diana, and Ciarrai, and make a copy of my emails as blog posts on my Open Source Software & Usability blog, so we can use the comments as a sort of discussion forum. If you follow my blog, feel free to participate and comment! Expect a new post every Sunday or Monday. 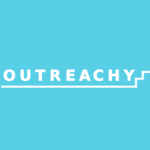 Week 1 of the May-August Outreachy internships start today! I'm very excited to work with Diana, Ciarrai and Renata on usability testing in GNOME. The Outreachy internship requires that interns maintain a blog, writing at least every other week. This shouldn't be a problem for the usability project. For the first few weeks, I'll essentially give a research topic for Diana, Ciarrai and Renata to look into and write about on their blogs. I've structured the topics so that we'll build up to building our usability tests. I'll also make a copy of my emails as blog posts on my Open Source Software & Usability blog, so we can use the comments as a sort of discussion forum. If you follow my blog, feel free to participate and comment! Expect a new post every Sunday or Monday. Some questions that might help you think about this week's topic: What does "usability" mean to you? Can you find a definition of "usability"? Some researchers in this area make a distinction between "big U" Usability and "small u" usability - why is that, and how are they different? How does "usability" differ from "User Experience" (UX)? What are we trying to get out of "usability"? I've included a few links to references that you might consider in discussing this topic. There are lots of places with information about usability, so feel free to find other resources if you prefer. As you learn about usability, also think about what is "good" usability to you, and what is "poor" usability. Is usability something that's universal? In your experience, which open source software programs have good usability? Which have poor usability? These are great questions to start off. I find it's a good idea to create this "baseline" for first impressions about usability. We will expand on this as we get further along in the internship. 2. How to test usability? There are many ways to examine the usability of a program, more than the few ideas presented in this week's articles. How do you test the usability of a program? What other ideas do you suggest? Would you use different methods for a small program vs a larger program, or the same? ​I've included a few links to references that you might consider in discussing this topic. What other references can you find? Feel free to use the comments section here as a kind of discussion forum. Over at Linux Journal, I recently wrote a short article about reading web comics using a Bash script. I follow several web comics. Every morning, I used to open my browser and check out each comic's web site to read that day's comic. That method worked well when I read only a few web comics, but it became a pain to stay current when I followed more than about ten comics. These days, I read around twenty web comics: Darths and Droids, Ctrl+Alt+Del, Questionable Content, and a bunch of others. It takes a lot of time to open each website separately just to read a Web comic. I suppose I could bookmark the web comics, but that's twenty browser tabs to open every morning. Whether I open them all at once or one at a time, that seems like too much time for me. I figured there had to be a better way, a simpler way for me to read all of my web comics at once. So I wrote a Bash script that automatically collects my web comics and puts them on a single page on a personal web server in my home. Now, I just open my web browser to my private web server, and read all my comics at once. 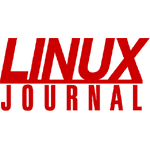 The Linux Journal article walks you through how to build the Bash script using wget, xmllint and ImageMagick, and provides the actual script as an example. Today is the unofficial "Science Fiction Nerd Day," May the Fourth. As in "May the Fourth Be With You." If you've seen Star Wars, you get it. But I am a fan of all kinds of science fiction. I love hard sci-fi from Niven to Gibson's cyberpunk, the space opera of Star Wars, the wonder of Star Trek, Doctor Who's playful attitude towards sci-fi drama, the hard-hitting Blake's 7, and more. I'll let others post about Star Wars today, and instead let my Doctor Who nerd flag fly high. And I am a huge Doctor Who nerd. My brother and I ran a fan club in the 1980s. I've been to the major conventions, even helped organize some of them—through which I met some of the original cast! I also love the Doctor Who audio stories from Big Finish; you may remember I shared a few recommendations of my favorite stories. And a few years ago, I put together a cool Doctor Who quiz for a fan event, sort of a Jeopardy! style trivia contest. Like any fan of the series, over the years I've assembled my own list of the best and worst classic Doctor Who stories, and I wanted to make a single list of everything. For each Doctor in the classic series, which are the best stories, the stories that still stand up? And which are the worst stories, the stories that are truly unwatchable on their own merit? It's a fun list. I'd like to share it with you. Features the first appearance of another Time Lord, although the title "Time Lord" would not be used until much later. Not the first appearance of the Cybermen, but you can see the beginnings of the modern design. The first appearance of a Sontaran. The only classic story that could be produced in the new series without editing. This would have made a great story with Matt Smith's Doctor, Amy and Rory. The middle story of a three-part "E-space" trilogy of stories, featuring vampires. A very strong regeneration story. And interestingly, the only story on my list to feature the Master, albeit as a cameo. The last 6th Doctor story before the series was put on temporary hiatus, which is why this ends on a freeze-frame. Returns to the show's roots in Coal Hill School and Totter's Lane. A few references to the 1st Doctor in this story. Featuring a civil war between giant insects. Awkward story introducing the Quarks, little robots where the BBC aimed for "menacing" and achieved "adorable." Takes place entirely within a sort of terrarium for different aliens. The best thing about this story is the amazing alien jungle set. It's a shame the rest of the story was dreadful. This is what happens when the producer decides "If we feature the Concorde, they'll let us ride in one!" Slow paced and awkward, featuring two main characters who interact with no one else in the story. When I was in high school, I recognized Doctor Who was nerdy. To avoid teasing, I only asked that my favorite show not feature a monster made out of sweets. Enter the Kandyman. What's your most and least favorite Doctor Who story?